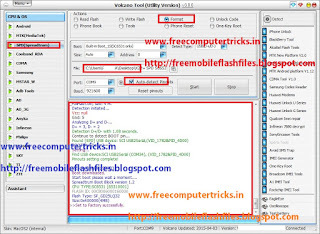 How to flash Karbonn K22+ using Volcano Tool? 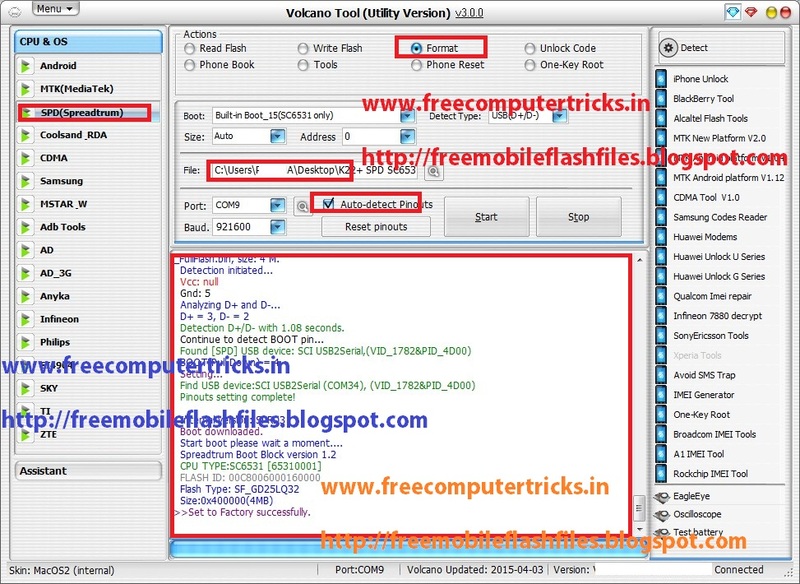 the below is the process to flash Karbonn K22+ with Volcano Tool V3.0.0. The karbonn K22+ has SPD SC6531 CPU, to flash the phone first read flash or download flash file then select the flash and format or do the wright flash option. Note: As the karbonn K22+ has SC6531 CPU, before do anything first Read flash of the phone, then you can format the phone, just select the flash file and format then click on start. Detection D+/D- with 1.08 seconds. If the phone is new one it's better to show it on a Karbonn Service Center otherwise you can try the below. 2)Change the SIM card and check. 3)Check whether the dual SIM is deactivated or not. 4)Check the Network settings and try search network manually. 5)You can check the Network ways of Karbonn K22 Plus on the mother board (If you are a Mobile Technician). Follow the above steps carefully and if you are not able to do that, you can go to any nearest mobile service center.